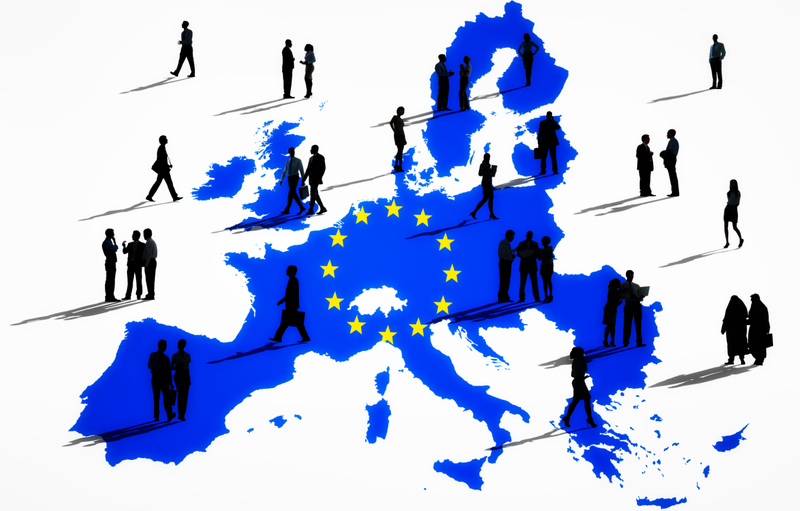 The FINANCIAL -- In 2017, the employment rate of people aged 20 to 64 in the European Union (EU) stood at 72.2%, up compared with 2016 (71.1%). The Europe 2020 strategy target is to reach a total employment rate for people aged 20 to 64 of at least 75% in the EU by 2020. This objective has been translated into different national targets in order to reflect the situation and possibilities of each Member State to contribute to the common goal. The upward trend in the employment rate is visible both for men and women. The employment rate for men hit 78.0% in 2017, an increase compared with 2016 (76.9%) and nearly the same as its 2008 level (77.9%) when the previous peak was recorded. As for women, their employment rate has continuously risen since 2010 to reach 66.5% in 2017 (as compared to 65.3% in 2016). Similarly, the employment rate of persons aged 55 to 64 in the EU has grown steadily, from 38.4% in 2002 to 57.1% in 2017. The greater participation of older workers is also one of the objectives of the Europe 2020 strategy on employment. Compared with 2016, the employment rate for those aged 20 to 64 increased in 2017 in all Member States except Denmark, where it went down (-0.5 percentage points, pp). It grew most strongly in Bulgaria (+3.6 pp), Slovenia (+3.3 pp), Portugal (+2.8 pp), Romania (+2.5 pp), Croatia (+2.2 pp) and Estonia (+2.1 pp). Employment rates above 75% were recorded in Sweden (81.8%), Germany (79.2%), Estonia (78.7%), the Czech Republic (78.5%), the United Kingdom (78.2%), the Netherlands (78.0%), Denmark (76.9%), Lithuania (76.0%) and Austria (75.4%). Among these Member States, the Czech Republic, Germany, Estonia, Lithuania and Sweden have already met or exceeded their 2020 national targets for this indicator in 2017, as have Ireland, Croatia, Latvia and Malta. On the other hand, the lowest employment rate was observed in Greece (57.8%), although it grew over the year (+1.6 pp), followed by Italy (62.3%, +0.7 pp), Croatia (63.6%, +2.2 pp), as well as Spain (65.5%, +1.6 pp). Employment rates of men and women continued however to vary considerably in many Member States in 2017. The difference between the employment rate of women and that of men aged 20-64 was lowest in Lithuania (75.5% for women vs. 76.5% for men, or -1.0 pp), Finland (-3.5 pp), Sweden (-4.0 pp) and Latvia (-4.3 pp). At the opposite end of the scale, the largest difference between the employment rate of women and that of men was observed in Malta (58.0% for women vs. 84.1% for men, or -26.1 pp). Big gaps were also recorded in Italy (-19.8 pp) and Greece (-19.7 pp). At EU level, the difference between the employment rate of women aged 20-64 (66.5%) and that of men aged 20- 64 (78.0%) was -11.5pp in 2017. From 38.4% in 2002, the employment rate of people aged 55-64 in the EU has grown steadily to reach 57.1% in 2017. The growth was stronger for women (from 29.1% in 2002 to 50.9% in 2017) than for men (48.2% in 2002 vs. 63.7% in 2017). As a consequence, the gap between the employment rate of women and men aged 55-64 in the EU has been reduced, from a 19.1 percentage points difference in 2002 to a 12.8 pp difference in 2017. In 2017, over half of the population aged 55 to 64 was in employment in twenty EU Member States. The highest employment rate for this age group was observed in Sweden (76.4%), ahead of Germany (70.1%), Denmark (68.9%), Estonia (68.1%), Lithuania (66.1%), the Netherlands (65.7%) and the United Kingdom (64.1%). On the other hand, the lowest employment rates were registered in Greece (38.3%), Luxembourg (39.8%), Croatia (40.3%) and Slovenia (42.7%). Compared with 2016, the employment rate for those aged 55 to 64 increased in 2017 in all EU Member States.